Major League players critique her hand position (“she’s got the Barry Bonds choke-up working, maybe that’s two strikes on her”), balance (“her weight’s distributed evenly”), aggressiveness (“you can’t smile at the pitcher or you’re gonna get hit”), and other attributes as a batter. It’s amusing, and as useful as much of what one can read about her online. 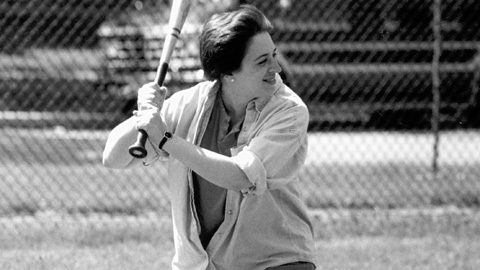 When Scalia tries to throw one by her, don’t you want to know that she can handle it?